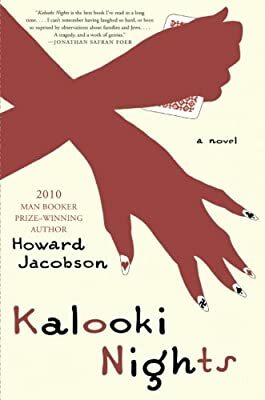 Author: Jacobson, Howard Set In . . . Description: Max Glickman, a Jewish cartoonist whose seminal work is a comic history titled Five Thousand Years of Bitterness, recalls his childhood in a British suburb in the 1950s. Growing up, Max is surrounded by Jews, each with an entirely different and outspoken view on what it means to be Jewish. His mother, incessantly preoccupied with a card game called Kalooki, only begrudgingly puts the deck away on the High Holy Days. Max's father, a failed boxer prone to spontaneous nosebleeds, is a self-proclaimed atheist and communist, unable to accept the God who has betrayed him so unequivocally in recent years.